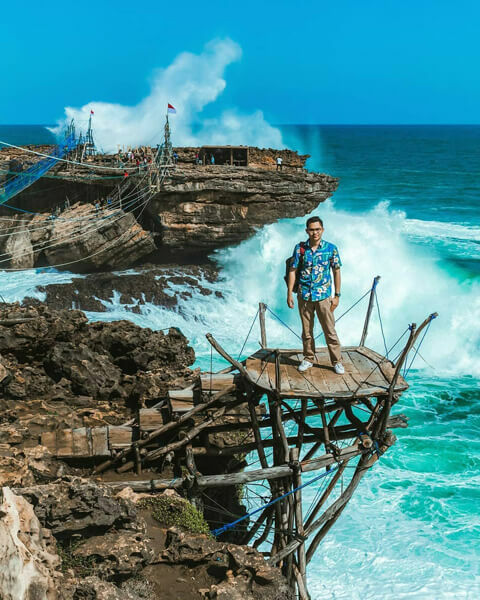 Gunungkidul Beach Tourism : What factors make those beaches worth visiting? Gunungkidul Beach Tourism : Which beach should have you visited there? Gunungkidul is a district of the province of Yogyakarta Special Region. At first, this area was (sorry) identical with backwardness, drought & and many suicides. Gunungkidul is structurally not a fertile area, but rather a rocky area (Karst) which is difficult to plant rice fields or plantations. But that was a long time ago, Now the city has changed. At present, this city is a tourist destination that amazes many tourists, both local and foreign. The beach in Gunungkidul has white sand or is closer to beige color, while from the border of Bantul Regency to the west, the beaches are black sand. Natural processes over thousands of years ago made it that way. Some like white sand, some prefer black sand. However, white sand looks more attractive than black sand. The color of the sand becomes more exotic if it meets clear sea water and black coral. There are many beaches in there that you can visit. There are almost 50 more beaches that have names and are managed by either local village youth or by the Gunungkidul district government. Among those who already have big names like Indrayanti, Baron, Krakal, Drini, Timang, Nglambor, Wediombo Beach, Gesing, Sadranan beach, Parangendog, Ngrenehan, Ngobaran Beach and many more. The beaches have each different tourist specification attractions. There are those that accentuate their natural beauty, some highlighting their naturalness, some can be used for camping, snorkeling, fishing, surfing, even playing paragliding. Big and ferocious waves. Almost all the beaches in Gunungkidul have big and fierce waves, So you have to be careful there. On the beach there are usually prohibited signs for swimming. However, there is a beach with contours jutting to the land or beaches whose waves are blocked by coral islands, so that the beach can be used to swim safely. Reef Ground. Nearly all beaches in Gunungkidul are reef grounds, where marine animals can grow and multiply there. When you exploring the reef, wear a foot protector or sandals is a must. So that your feet are safe from injury. The reef can be explored when the sea water recedes. White sand, All beaches stretching from Parangendog on the Bantul regency border to Sadeng Beach on the Wonogiri district border, have white sand. White sand stretches to the east into Pacitan district and so on in East Java. While the black sand stretches from the western region into Kebumen district and so on in Central Java. Maybe this could be a reference if you want to visit Yogyakarta. For those who loves the natural beauty, you can visit Ngetun beach, Pringjono, Nglolang, Jungwok, Pok Tunggal, Sedahan, Greweng and many more. If you are a surfer, you can visit Wediombo Beach. 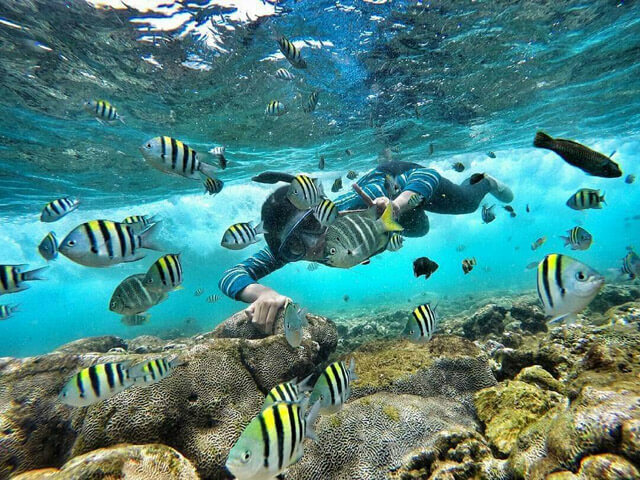 Then if you want to try snorkeling, you can visit Wediombo Beach or Nglambor Beach. If you like a challenge, you can visit Timang Beach to ride the Gondola or Try rappelling on the coast of Jogan. For those who like rock climbing, can visit Siung Beach and who want to challenge the adrenaline, you can go to Parangendog Beach to try paragliding. For more complete list of the stunning Beach, you can see it on 60 awesome beach on Yogyakarta videos.